Forming part of an exclusive gated development of only five executive homes, this substantial and luxurious residence offers over 5,600 square feet of living accommodation including s a self contained guest annexe located above a three car garage. 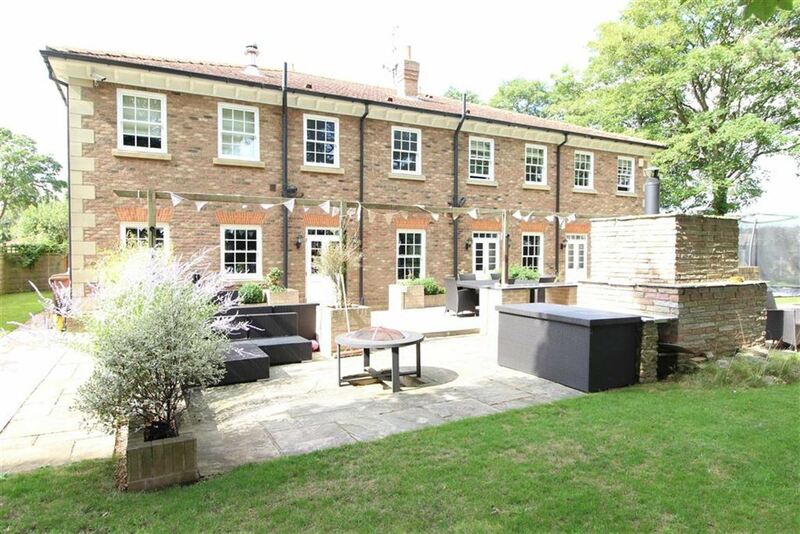 The property is approached through remote controlled gates into a courtyard offering multiple parking facilities. The current owners have spared no expense beyond the original specification to create a truly spectacular home featuring marble floors to many rooms, a fantastic marble staircase, three large Reception Rooms, spacious Kitchen/Family Room with substantial integrated Kitchen, large Utility Room, Cloakroom & separate WC. To the first floor, a stunning Galleried Landing offers access to five sumptuously appointed Bedrooms, four with equally spectacular En-Suite facilities, including a Master Bedroom Suite having a fitted Dressing Area, large fitted Bedroom and En-Suite Bathroom including a steam/shower. A further Bathroom services the fifth Bedroom. A luxurious guest annexe sits above a triple Garage complex and offers a large open plan Living Area with allocated Bedroom area and fitted wardrobes, fitted Kitchen & Shower Room. The superb grounds extend to approximately half an acre with uninterrupted views across farmland to the rolling Wolds landscape at the rear. A multi-purpose outdoor entertaining area includes a seating area, fitted barbecue and fully operational stone oven. 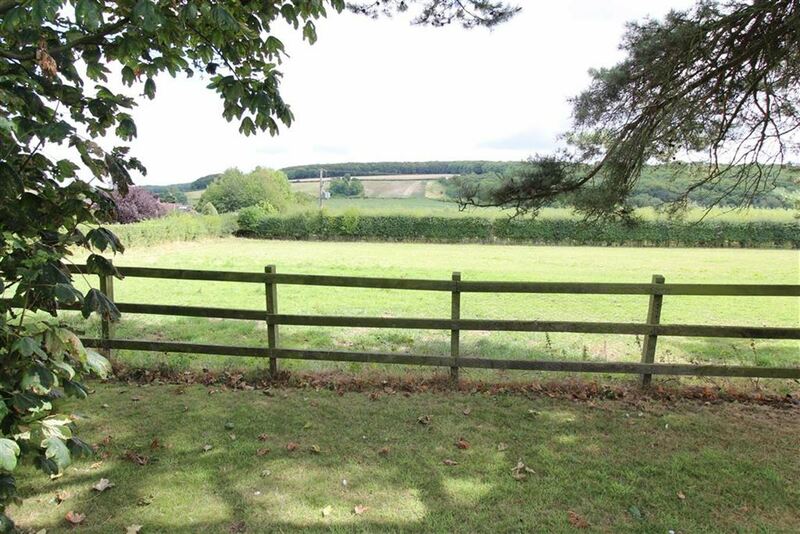 This superb property adjoins open countryside and occupies an elevated position at the head of an exclusive gated development known as Radcliffe Garth, which connects into Market Place, close to the centre of the popular rural village of South Cave. The village has first class road and rail connections. The A63 dual carriageway links into the M62 motorway which runs to the south of the village allowing convenient access to Hull and West Riding centres of business. A main line train station at Brough lies approximately 10 minutes away by car from where an intercity train service is available reaching London Kings Cross in approximately 2 hours 30 minutes. The village has a variety of local shops and good primary schooling in addition to which there is a sports centre and an 18 hole private golf course at the Cave Castle Hotel. There are a number of well regarded restaurants within the village and the surrounding countryside has many bridleways and public footpaths. An open fronted pillared porch leads to a spacious central entrance hall featuring a most impressive marble central staircase having variable step lighting, matching marble floors and skirting, interior doors in solid oak and solid oak balustrades. Generously fitted with stylish cabinets in walnut finish. Finished with walnut panelling and including a low flush WC and vanity wash hand basin by Villeroy and Boch all encased in walnut surrounds. Approached through double french doors from the entrance hall. Features walnut flooring and window aspects to thewest and north. A particularly spacious Reception Room with polished travertine limestone flooring overlooks the rear garden with two sets of double French doors leading to the rear patio and outdoor entertaining area. This stylish Reception Room features walnut flooring and is approached through double french doors from the entrance hall. This stunning room features a comprehensive range of oak units with a peninsula breakfast bar, further island unit and granite work surfaces; appliances include large range oven, American style refrigerator, microwave oven, warming oven, steam oven, roasting oven, integrated dishwasher, travertine flooring throughout. The Family Area features full provisions for an integrated TV and entertainment system, low-line fitted cabinets and double French doors leading to the outdoor entertaining area and patio, having a delightful open aspect. 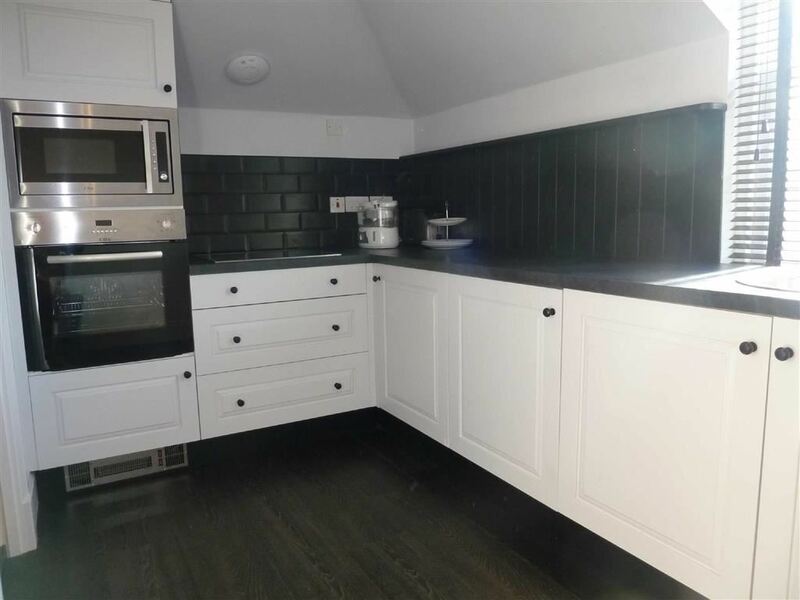 With a comprehensive range of fitted cabinets, 1.5 half bowl sink unit, five ring hob unit, cupboard housing the gas fired central heating boiler unit, plumbing for automatic washing machine, full length cupboard housing the lighting controls. With a large built in airing cupboard housing the pressurised insulated hot water cylinder plus further linen cupboard. Feature oak flooring. With built in dressing table unit matching the bedroom furniture. Fully tiled in Travertine limestone, a four piece suite comprising Villeroy Bosch multifunction steam shower, raised bath on tiled plinth, vanity wash hand basin, low level WC and heated towel rail. Includes a large walk-in shower and screening, ceramic wash stand, low level WC and travertine tiling to floor and walls. With large walk-in shower and screening, vanity wash hand basin, low flush WC, travertine tiling and heated towel warmer. 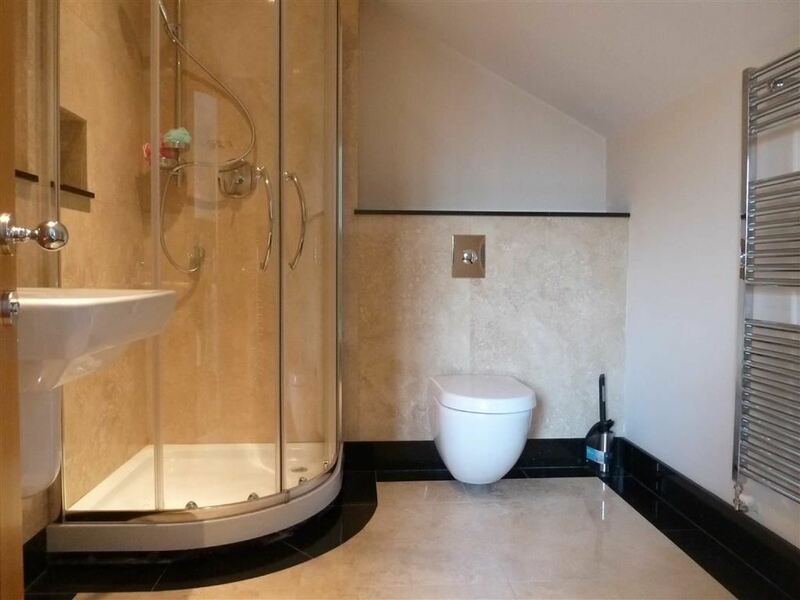 Sumptuously fitted with a range of fitted cabinets and travertine flooring with marble inset, vanity wash hand basin, recessed mirrors, panelled bath and corner shower cubicle, low flush WC and heated towel warmer. A good sized Bedroom with feature oak flooring. Beautifully presented with feature shaped bath on plinth, curved shower enclosure, wash hand basin, low flush WC and travertine tiling. 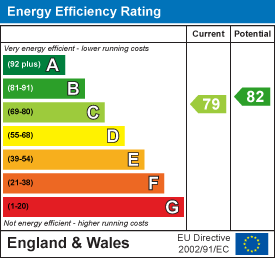 Avaialbe if required at an extra monthly cost. 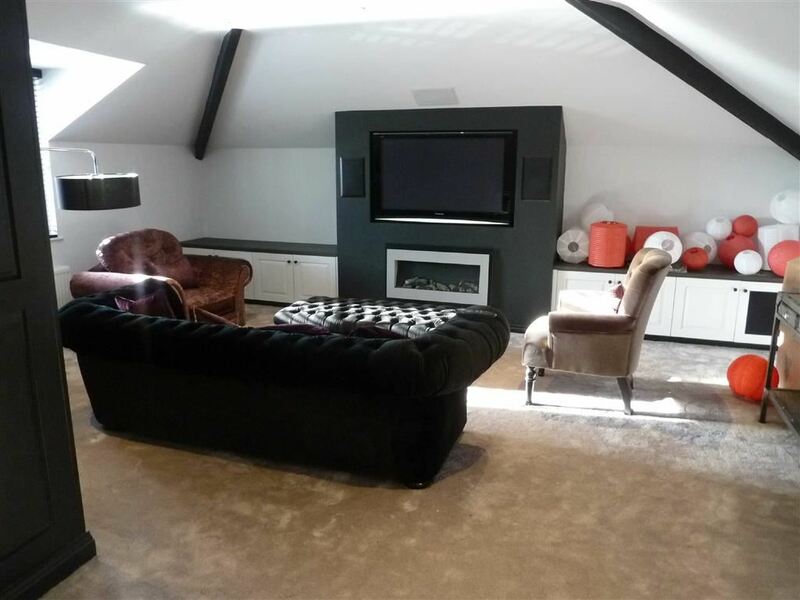 This luxurious contemporary annexe located above the Garages is accessed from a private staircase. 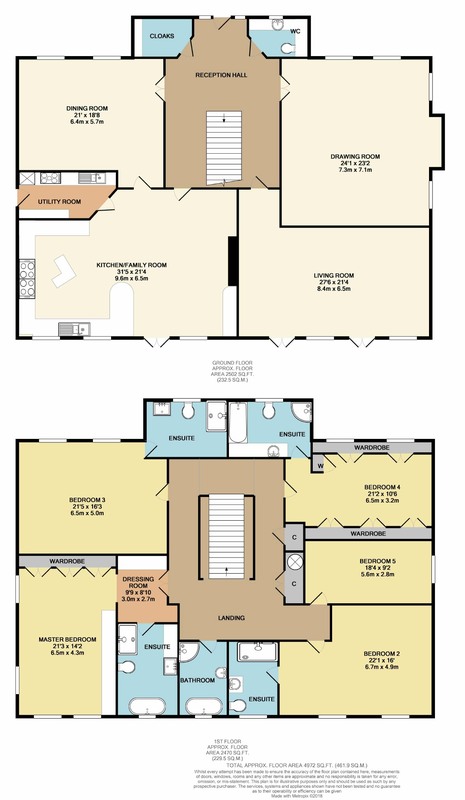 An ideal guest facility includes a large open plan Living Room with a Bedroom Area separated by wardrobes. There is a range of fitted contemporary style furniture, cabinets, wardrobes and shelving, low line cabinets and provisions for TV and integrated sound system. A Kitchen Includes a comprehensive range of cabinets with granite effect worktop finished in woodgrain, integrated appliances include a dishwasher, refrigerator, microwave and oven. A Shower Room Half tiled in marble tiling with corner shower cubicle, wash hand basin, low level WC and heated towel rail. The property forms part of an exclusive gated development This elevated site is approached via a private road with a set of communal electric gates with intercom system for each property. A further set of double electric gates give access to the private driveway and parking forecourt which offers multiple parking and turning space leading to a three car garage with individual electrically operated up and over doors. 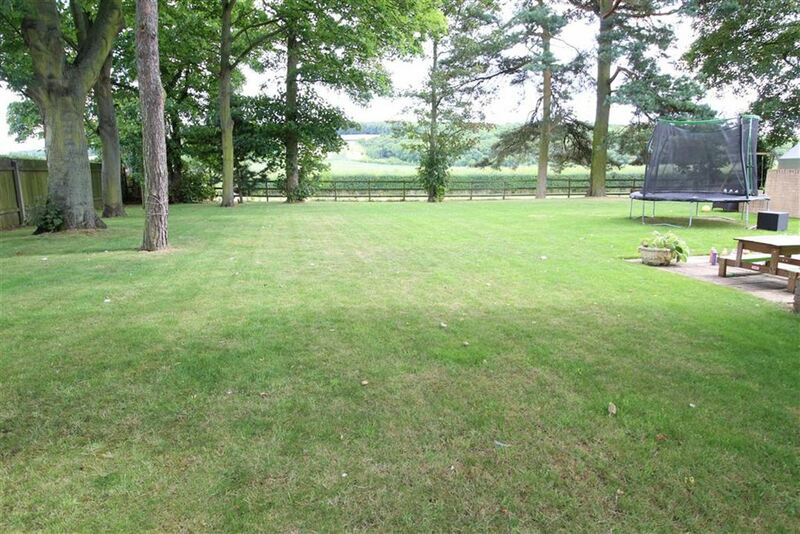 The grounds extend to approximately half an acre bordering open countryside to the rear. The gardens are laid mainly to lawn and lie principally to the rear and side elevations. 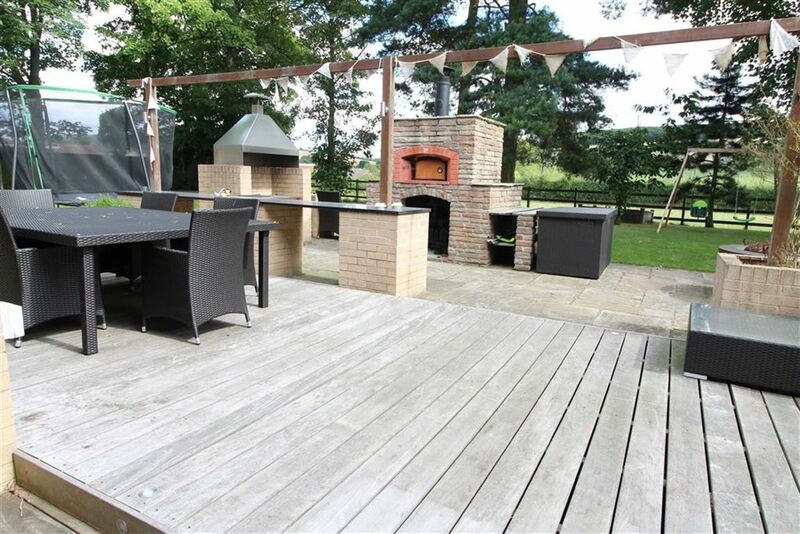 A multi-purpose outdoor entertaining area which includes a Seating Area, barbecue and fully operational stone oven. 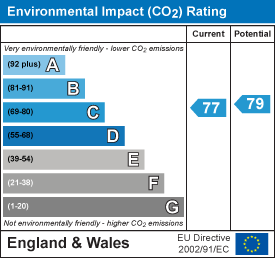 CENTRAL HEATING - The property has the benefit of gas fired central heating system to panelled radiators and individually controlled under floor heating to most rooms.. DOUBLE GLAZING - The property is fully double glazed. SECURITY - The property has a comprehensive security system including CCTV .